Keep an eye out for the "Sheep Assist Wool Save Ewe" LTD on Friday, 18 August. When Warburton resident Lachie Pitman heads north on the Variety Club Bash on Friday, 18 August, he will be in interesting company (apart from two sheep in gumboots)! Lachie will head out on his 15th Bash with Mike Brady of ‘Up There Cazaly’ fame, former VFL champion footballer David Cloak and Sal Vitiello, project manager for Spotlight Group and team navigator and IT guru. The 2017 Variety Bash starts in Melbourne on the 18th and finishes 3500 kilometres further on at Fraser Island on 26 August. The Bash is renowned for its off-track/out-back culture, but the first time in the history of Australia’s largest and longest-running charity motoring event, the Yarra Valley’s highways and byways are included in the adventure. 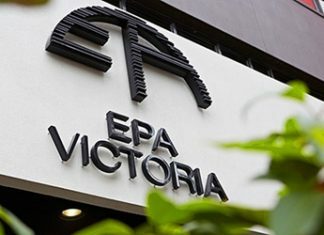 In another first, Mail journalist Derek Schlennstedt will sign on as a guest crew member for the Yarra Valley stage which starts in Toolangi around 10am where team “Sheep Assist Wool Save Ewe” will call in at Toolangi Primary School to make an early grant. Lachie says the Variety Bash is the only motoring event in Australia that supports kids in need on the road, and this year the focus is on the ‘big give’ with teams stopping along with grants to schools and other organisations from their team fund-raising. Team SAWSE will pass through Healesville, Yarra Junction, Wesburn, Millgrove and Warburton on their way to their next stop (eta 11am to 11.30am) at Millwarra Primary School, East Warburton, where they will make a second grant. They will continue on (minus Derek) through Noojee and Neerim South on their way to their first overnight stop at Traralgon. Cars must be over 30 years old to take part in the event and can be ‘themed’ to add to the interest, enjoyment and amusement of townspeople along the way. 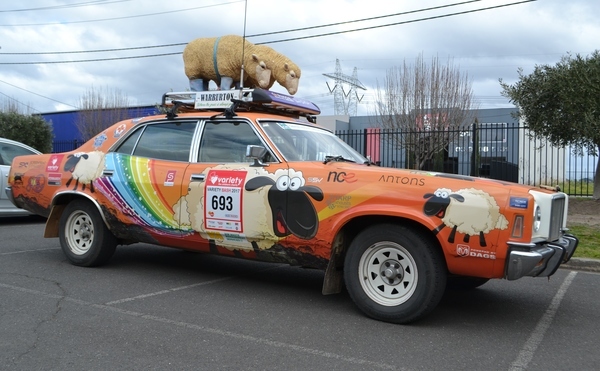 The 1979 LTD is remarkable for the two sheep in gumboots adorning the roof, and the team who have adopted a sheepish persona to match. Lachie was recruited to the Bash 15 years ago when as Brady’s bank manager he was invited to get involved in the iconic fund-raising event. He says the Bash is not a race, rally or speed trial and the criteria is simple … relax, have fun, enjoy the journey and raise funds for kids in need. “You meet some wonderful people under a lot of different circumstances and there’s a great sense of achievement in meeting all these locals and putting a bit of a smile on their faces,” he said. 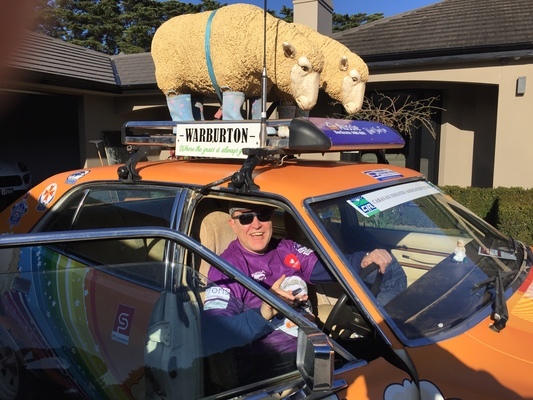 The Yarra Valley connection won’t be lost as they head north with the LTD sporting the slogan “Warburton where the grass is always green” and Burras football club stickers promoting Lachie’s local club. Lachie and the team won’t be sheepish about returning a wave or posing for a photo during stops. Visit www.variety.org.au/bash for more information.